Question: My father attacked with stroke and currently not in control of urine.He says he doesn't know the urine is coming until it comes. 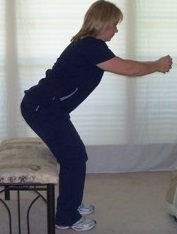 •Practice Kegel exercises which strengthen the pelvic floor. •Tell your father to notify staff or family immediately of the need to urinate or move his bowels as soon as it comes on - waiting can lead to accidents. Question:Is it common for stroke survivor to repeatedly say they have to go to the bathroom even after having just urinated? Answer: Some stroke victims have trouble with getting the bladder to empty completely after a stroke, so they feel that they have to urinate more often. This is often due to decreased control of the detrussor muscle, the primary muscle that controls the bladder. The muscle can become overactive trying to empty the bladder even when it is not full. Urinary tract infections are common after stroke as well and can cause frequent urination. If needed, there are medications to help with both of these conditions so consult a physician if the urge to urinate persists. Question: I had a stroke in 2000. I had incontinence as a result of the stroke, but I regained continence six months later. My question is, can incontinence come back as a result of my disability from the stroke? Answer: If you regained continence and maintained it for years after a stroke, it is unlikely that any new problems with incontinence would be related to the past stroke. 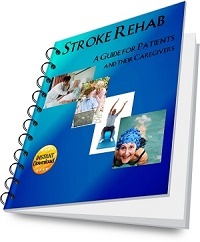 Question: My husband had a stroke and can't use his left arm or leg. He also had a colectomy and has numerous loose stools. He wants to use the toilet, but can not yet safely do so. Diapers are difficult because he needs to not be siting directly on his bum The pressure does not allow for elimination. He's a big guy. There must be some type of assistive device for someone in this position. Please help. His quality of life would improve drastically if we could figure this out. We can't be the only ones facing this dilemma. Answer: There are many devices out there to help with transfers and/or toileting. In order to know which one would work for your husband, you need to have a home visit done by an occupational therapist to evaluate his need. Let them know the specific goal of being able to allow your husband to do a toilet transfer or find a way to toilet easily. Not all therapists are aware of the different devices out there, so the therapist may need to do a little research to find the right device for your husband. Many lifts are expensive, so you would have to see if anything would be covered by insurance or not. 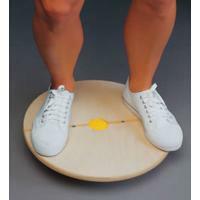 Many stroke patients (even when large) can learn to transfer to the toilet even with paralysis of one side, so the therapist may just need to work on transfer techniques with you. They even have transfer boards that have holes in them to go over the toilet. Also, there are adaptive clothes that are more easily removed, so that may be something he needs as well.